I was fortunate enough to be invited by Murad Philippines to have a one on one with Dr. Murad's personal confidante and skin advisor, Zaida Takeshita as well as a chance to get myself familiarized with Murad's latest offering, their Hybrids line. Murad's Hybrids are a godsend for women everywhere as they do not just camouflage the visible signs of aging on our face but instead they tackle the problem from the root, plumping and stretching where needed in just 15 minutes upon application. It's not just make-up but an efficient tool in battling dark circles, sagging skin,crow's feet, wrinkles and pigmentation. 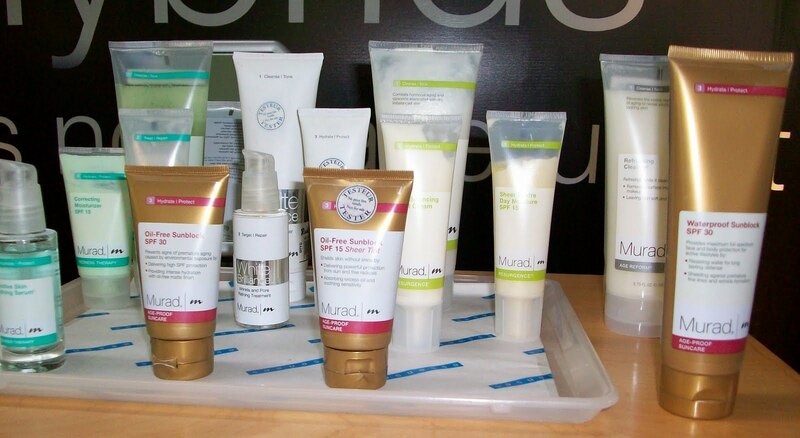 A variety of Murad products, each one designed to specifically eliminate and prevent ALL your skin problems. The age old question, "How do I stay looking young for longer?" is answered here! SUNSCREEN. Sunscreen is your number one friend and you must use it all times. Indoors or outdoors. Even light bulbs radiate harmful UV rays that can be damaging to skin. Important thing to remember when choosing the right sunscreen: Do not get anything higher than 30spf. 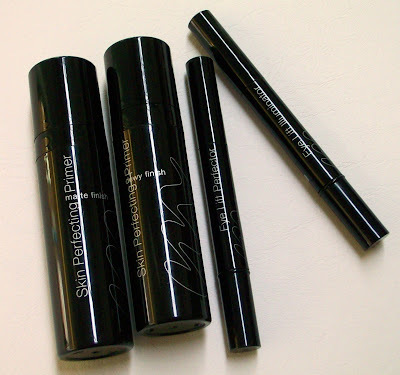 Sunscreens with higher spf's than 30 only provide 1% more protection and were tested to contain and cause free radicals. Free radicals speed up the aging process in exponential form. To battle free radicals you need products containing Anti-Oxidants like Vitamin C, E and Beta-Carotene. 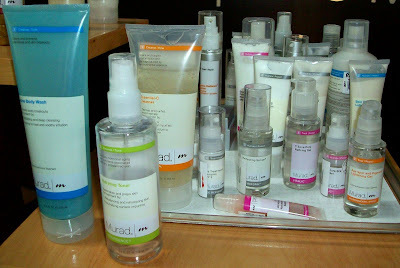 Toners are optional if you have a good cleanser. But toners are beneficial. Toners keep our skin's ph levels in check and can prevent our skin from either drying up too much or being too oily. A good toner also provides vitamins which are beneficial to our dermis. It keeps away germs and gives our face a healthy glow. Facials a are a must for everyone. If you have normal skin, take it at least 3 times a year. For people with skin problems, consult a dermatologist. Natural is Best. However, nature in it's purest form can also be unstable. There are many factors that influence the amount of nutrients found in a crop like the soil it was planted in, the time it was harvested, etc. 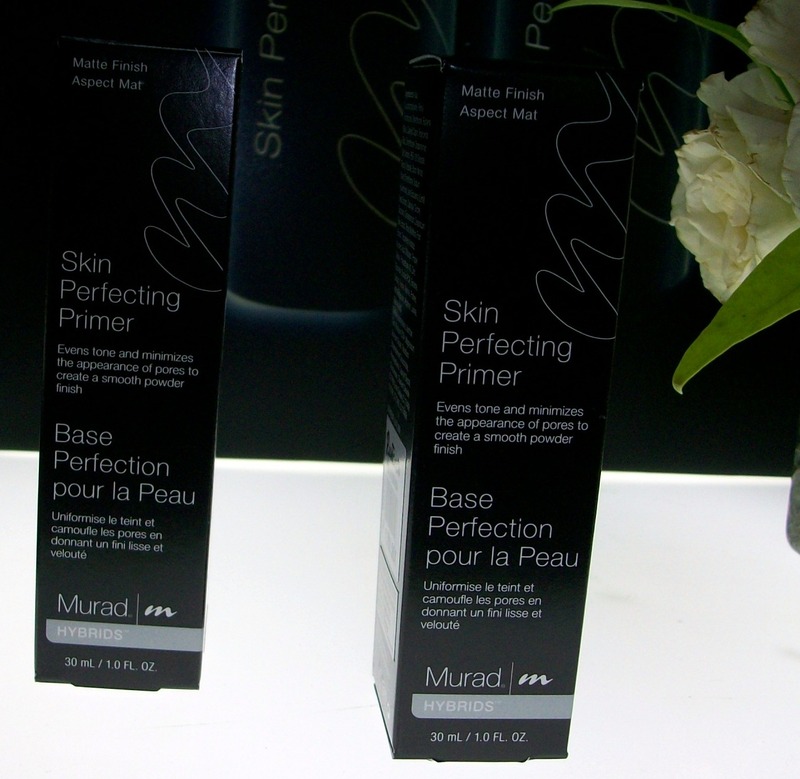 So what Murad does is it takes what is beneficial from nature, bio-engineers it, makes it consistent, stable and safe to be used for our skin. Also, no plants and natural resources are harmed/stripped in the production of Murad's line. It's better to EAT YOUR WATER. Aside from the 8 recommended glasses per day which you piss outright, "eating your water" in the form of fruits and vegetables like cucumbers, watermelons, tomatoes etc (fruits and veggies rich in water) keeps the water in and helps hydrate your skin and its' cells better. 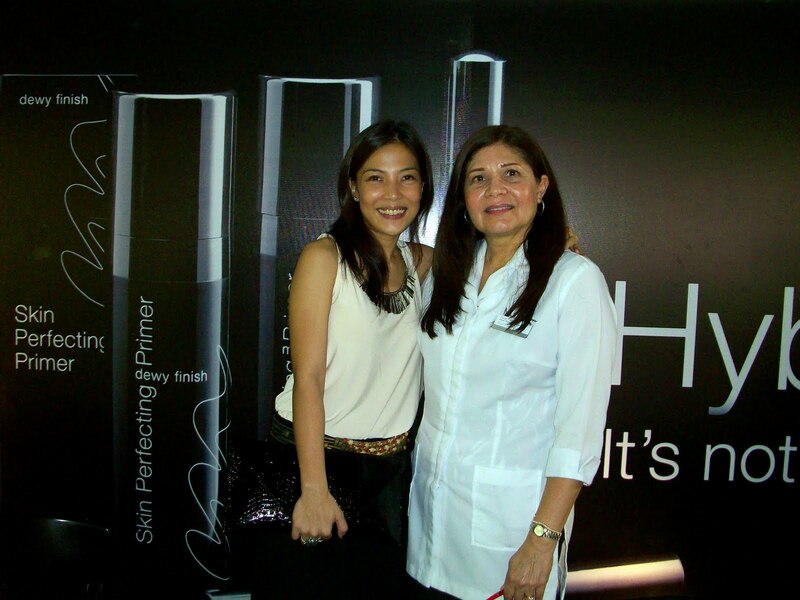 Well hydrated skin gives you the "plumpness" of youth that you slowly loose as you age. If you have any other skin care concerns or would like a one on one consultation, just drop by any Rustan's branch for a free consultation with personally trained Murad staff. After the event, we decided to have a light snack in Toast Box, Greenbelt 5. 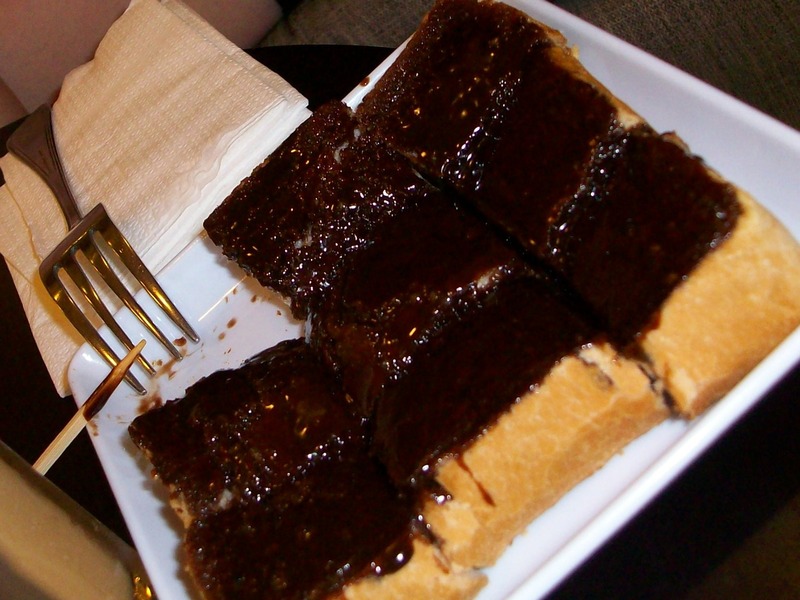 I ordered my favorite Kaya Toast and C had her fill of their Chocolate Toast. 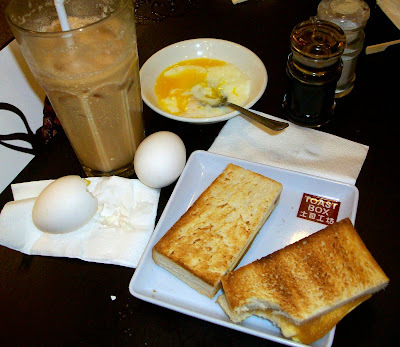 Toast Box is yummy and very affordable. A meal like mine which consisted of Kaya Toast, 2 soft-boiled eggs and a tall glass of milk tea only cost me P135. C's was slightly more expensive at round P140. They also serve authentic Singaporean Hainanese Chicken for around P230 with rice and soup plus a myriad of other dishes from Sing which I am dying to try next. Service and ambiance is also excellent. I will do a full review next time. Hope you learned a thing or two about skin care. Have a nice Sunday! Don't forget my giveaways. One is ending tomorrow. Just click the corresponding right rail button for details. looks like a fun event! 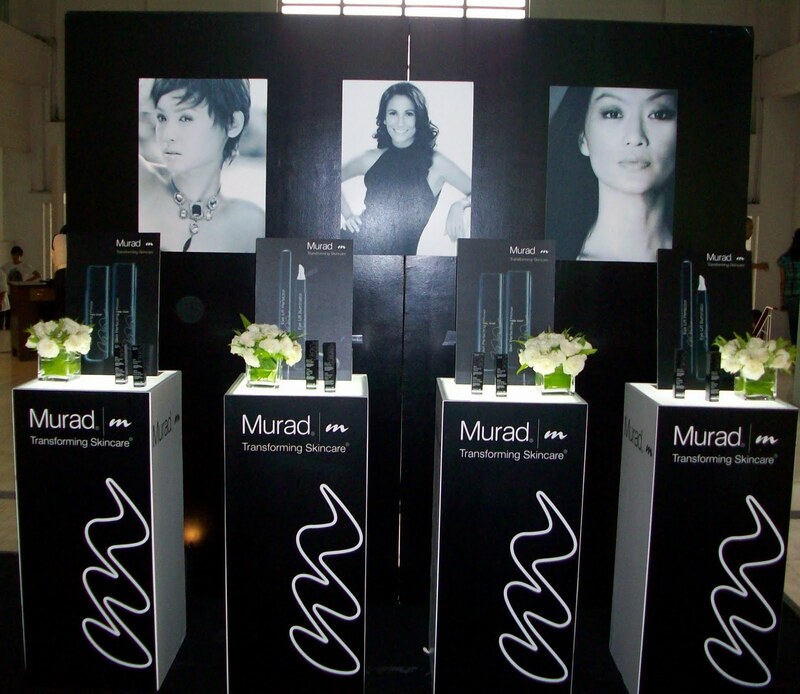 and Murad looks promising! That's for sharing these tips! I definitely learned a thing or two! That food looks delicious, by the way! Amazing post!It is really a wonderful post you are sharing with us.I really liked it very much. I've read some comments saying that this cleanser, they break in spots, so I the lucky one this effective cleanser. It makes me break the small bumps on his forehead.